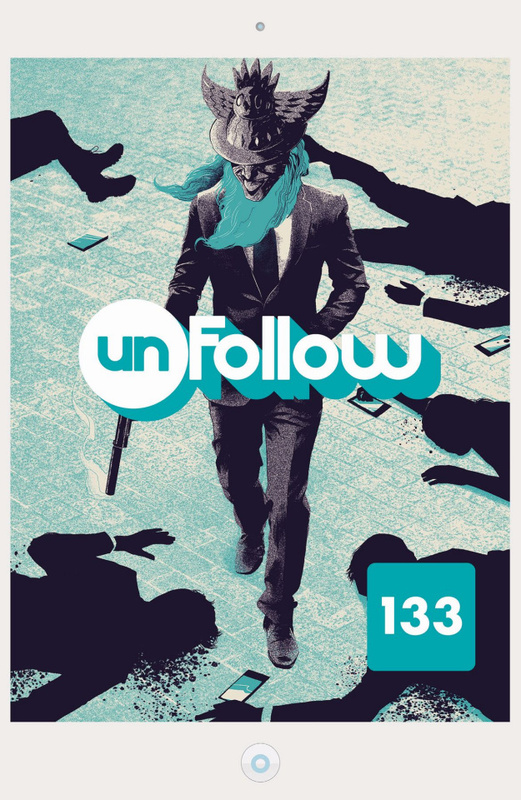 In these stories from UNFOLLOW #7-12, the 140's numbers are starting to drop-it's so easy to fall in front of a bus these days-and so Larry Ferrell's chosen ones spread across the globe. Some are looking for peace, some for extreme firepower. But who placed the full-page advertisement in many of the world's top newspapers? And who is the 140's new Headspace follower?